Our favorite holiday in the entire year is almost here! Therefore, it is time to think of something really good and original to impress the children. Easter gifts for kids usually require some overthinking. However, we’ve decided to ease your decision. What if there are unique Easter gifts which will enchant both you and your child? Varsy’s Legends of Switzerland will provide you a lot of value and fun at the same time. Your child (and you) will adore playing with these wooden beauties. However, that’s not the only benefit. A kid will learn A LOT about Swiss myths and legends. Hence, it will affect his/her imagination and open new views of the world. Also, Varsy’s products are following the highest ethical standards. Wood, inks, and papers which they use are all child-safe and eco-friendly. Fun, learning, and environmental responsibility. Sounds great, right? All of Varsy’s products have its basis around 12 legends. Maybe the most interesting ones are Legendboxes. You might call them boxes of magic and knowledge! Or artifacts of cultural heritage, which they are. There are three different versions of Legendboxes – Limited Edition, Classic, and Select. Each of them contains two sets. Set 1 of each release includes the following six legends (myths) – Basel, Bern, Geneva, Lucerne, Zurich, and Switzerland. On the other hand, Set 2 of each version contains different six legends – Interlaken, Lugano, St Moritz, Montreux, William Tell, and Zermatt. Furthermore, there are also beautiful wooden magnets with those legends on them, as well as very interactive Story & Coloring Book, following the same places and myths. Every place has its own mythical story. Therefore, let’s take a look at these stories, and see what those super exciting things your child (and you) can learn. The Basilisk was an ancient, awful creature with the rooster head and snake body. No one could defeat him, even the bravest knights. One day, Basilisk was laying a giant egg, almost as large as him. Citizens were panicking because no one was capable of killing the monster and his egg. However, in the end, they came up with a smart, ingenious plan. Everyone who sees the basilisk had to aim the mirror at him. The monster couldn’t stand seeing its cursed powers and died. Duke Berthold V of Zahringen had trouble with finding the proper name for the city. One day, he invited all local nobles in his castle Nydeck to hear the prepositions. One guest had the best idea – they would go for a hunt, and they will name the city after the first animal they kill. Unfortunately, the first animal killed was deer. Duke didn’t like that; he wanted a much bigger challenge. In the end, he was the one who killed a giant bear, and afterward, the city was named Bern. The story tells that, on special days, people can see the magical ship on Lake Geneva. Eight snow-white swans are going in front of it. Furthermore, there is a beautiful fairy on the ship’s deck. Small nymphs are surrounding it, dancing to the harp music. And you know that your wish will be fulfilled if fairy shows up. But not any wish, only the one with good intention. The ship could only be seen by kind souls who held a noble and virtuous hope deep in their hearts. The legend says that inside the Mount Pilatus lies a secret cave. 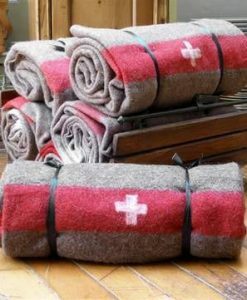 There are sleeping three heroes of Switzerland – Walter Furst, Werner Stauffacher, and Arnold von Melchtal. One day, a young Swiss shepherd was searching for his goat, who was lost somewhere high up the Pilatus. While he was climbing the rocks, he saw the hidden entrance. He heard something magnificent from there – the voice of Walter Furst. The boy went back to the village to inform the others, but when they came back together, they couldn’t find that entrance. It is the story about two sisters, Hildegard and Bertha, daughters of the King Ludwig the German. They were modest and religious, and they were praying every day until the late hours of the night. They were returning home through the forest where a lot of night creatures lurk. God had recognized the danger and sent the white, shining stag to protect them. Every night, when sisters were going back home, the stag was illuminating the way, keeping the night creatures away. People of Uri, Schwyz, and Unterwalden lived in peace for many years. One day, Albert I of Austria was crowned as the king of Germany. His wish was to expand the empire on those three cantons. However, brave people decided to oppose him. Among them were the three legendary heroes of Switzerland, Walter Fürst of Uri, Werner Stauffacher of Schwyz and Arnold von Melchtal of Unterwalden. Those men sealed the great oath on the Rutli, declaring unity and freedom in the eternal alliance as the Swiss Confederation. The story of the mountain face! In the 16th century, people were living close to a monastery in Interlaken. Everyone there was very kind, but things changed when the new provost came from Rome. His name was Leonardus, but people called him Harder because of his rigid rules. There was a girl called Martha. Modest, praying girl. Harder gained her trust somehow and sent her to collect wood on the mountain. His real intention was to attack her up there, which he did. She was running, but at the end of the road, she jumped to death. The legend says that God condemned the wicked man and immediately turned him to stone. Many, many years ago the giant Gargantua lived in the Alps. He was so big that the Earth was trembling when he moves. But he was friendly, kind, and also curious. He was spending his time in Valtournenche. However, he wanted to see what is going on beyond the ridge. He planted his foot near Zermatt. When he moved his other foot forward, he slipped on the ice, and his body crashed in the mountains. Only the great triangular section between the giant’s legs remained standing, which remains today as the Matterhorn. Legend says that the Christ, while on his final ascent to heaven, stopped to rest on Monte San Salvatore to bring peace to the faithful and bless the holy mountain. For many years, believers from all over the world have challenged themselves to take the steep, winding path from Paradiso on the lake to the top of the majestic peak to pay homage to the Son of God. Graubunden is the trilingual canton, and this legend talks about how this multilingualism came about. When God created the world, the only thing remaining to decide were languages. God sent his angel to collect holy seeds of language which were spread to all places in the world. But the angel forgot a small land in the Alps! God sent him back there, few lost seeds fell, and all of them were different. And so, it is to this day that Graubünden thrives with its unique variety of languages. Chateaux Chillon is the medieval castle known for many stories. The most famous, because of the Lord Byron poem, is the one about Francois Bonivard. Duke of Savoy, the enemy of Bonivard, dragged him to Chillon and chained. He was in prison for six years. Afterward, the Bernese conquered the castle and set him free. From that moment he became a legend, and symbol of liberty and hope.